A delightful design! 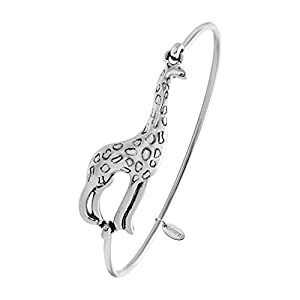 Bracelet features two Giraffes nuzzled up for this cuff bangle in white enamel highlighted with gold and black spots. Alilang is a registered trademark. This item is ONLY fulfilled by Amazon and seller “Anna-Kaci”.